KoolShop themes has been purchased 22, rating: 4/5 based on 4 reviews. 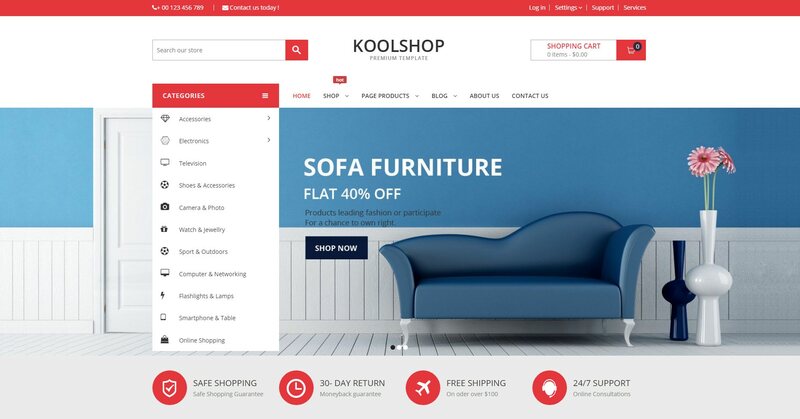 KoolShop is a Shopify theme developed by Apustheme. It includes over 10 different homepage options that allow you to select the most suitable theme for your e-commerce store. KoolShop has a flexible control panel and this is the reason why you can easily manage your store. In addition, it integrates tons of powerful modules, providing Shopify with the most necessary features. It’s time to select KoolShop Shopify theme for your store and experience!